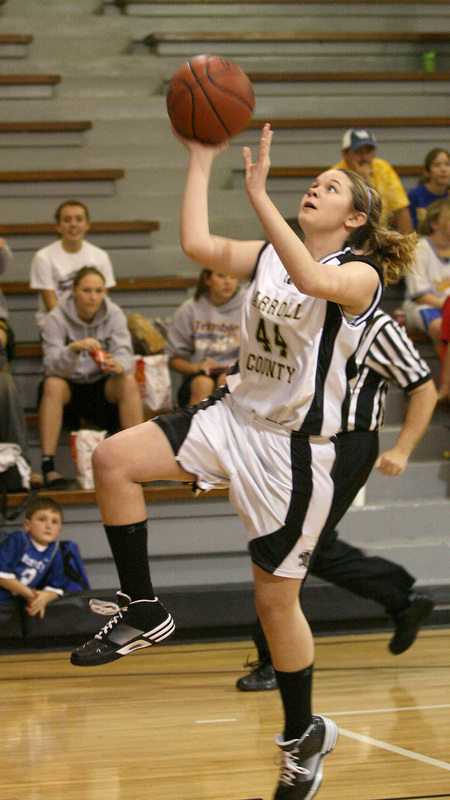 Tatum McIntyre scores a fast-break layup in the first half. 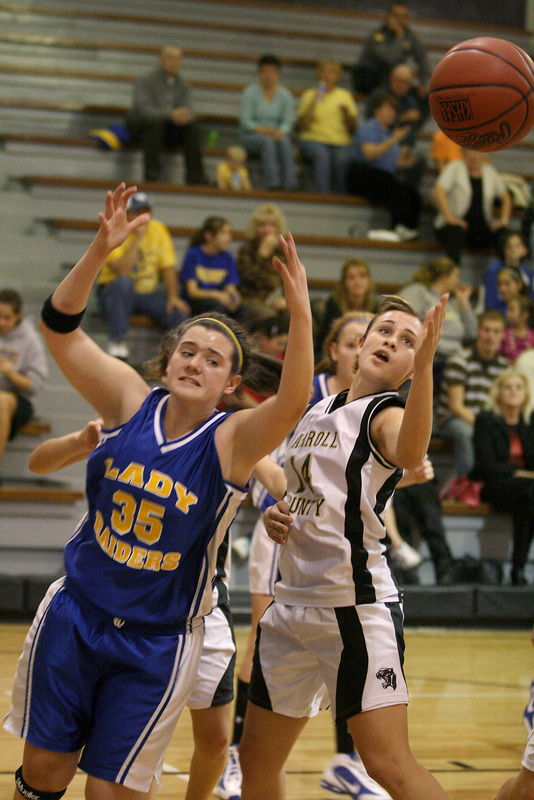 Lady Raider McKenna Ginn and Lady Panther Mackenzie Ogden fight for a rebound in the first half. 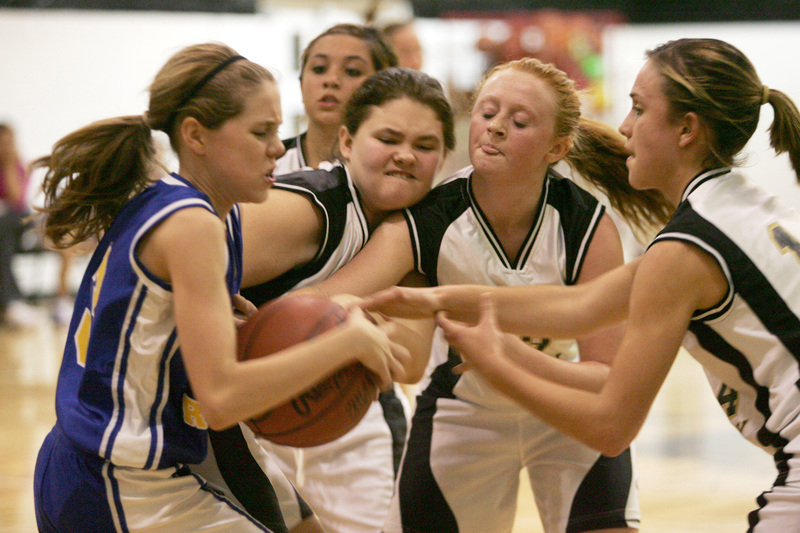 Multiple players scramble for a loose ball in the third quarter.